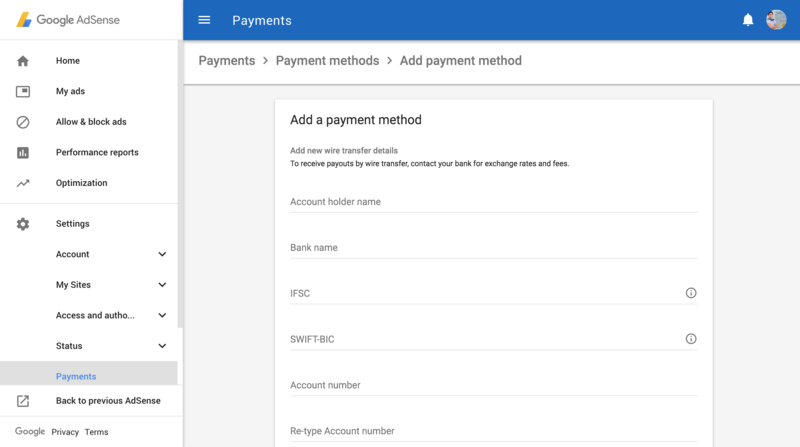 Thanks for sharing information about how to edit bank details.i personally got this experience in my life .i got suffered with how to edit payee /account details without proper knowledge i think you information will help people using Google Adsene for website revenue. Thank you Ramya for your feedback. Hope this article clarifies all your queries. Thank you Lasya for good useful stuff!! May I know is it better to go with Adsense or to go with Affiliate Marketing with low traffic. I think your next article shall be on CPC optimisation techniques. I hope you will write a post on this topic!!! Thank you for your feedback. I will definitely pen on CPC optimization techniques. Stay tuned. 1. some top affiliate programs that help to make huge revenue for newbies who just have started blogging!!!! thanks to shared this usable and informative post. Thanks for the info, I was searching for it. One suggestion is that the content is Bold and am unable to differentiate it from the Headings. Usually Headings will be bold, so just make sure that content isn’t Bold and easy to read. Thank you for the feedback. As you asked we will try to solve the issue. Let me know the issue with your AdSense account. I am glad that this article is useful for you. Keep visiting our blog for more useful stuff. I have a doubt before adding my payment method..
My name is ALDRIN WILFRED., residing in India. Will it affect the payment?.. it is very important for me thank you for sharing this with us. Thanks for the tutorial! I had the same problem in ad sense dashboard account! I have some other problems too in my account! Have you any other blog related to ad sense? Nice post… Does that mean I can buy adsense from somewhere else.